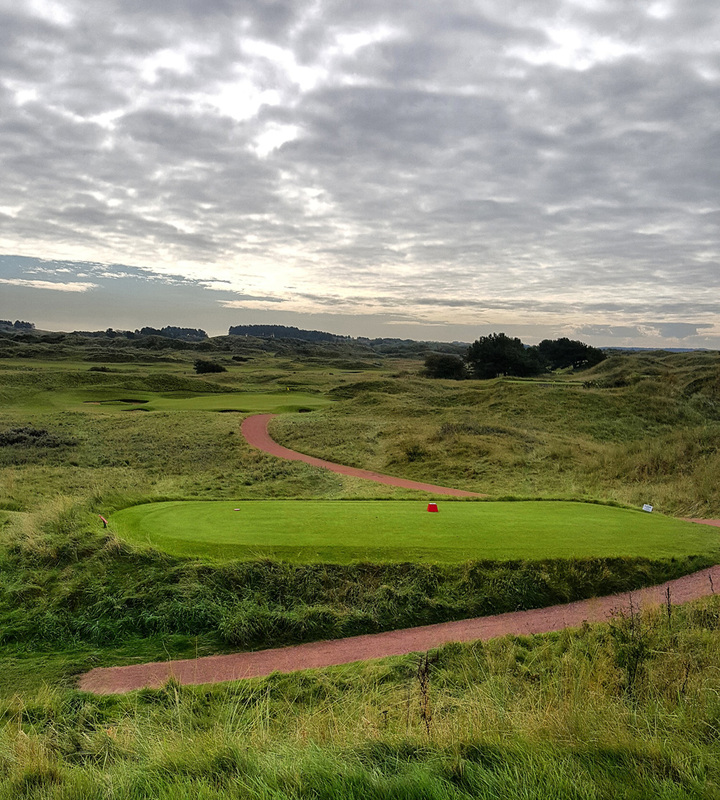 Just a short 25 minute train ride from downtown Liverpool, followed by a half mile walk from Hillside station lies the venue of the 2018 Open Championship, Royal Birkdale. As you drive or walk in from Royal Birkdale’s north entrance it’s hard not to notice the modern architecture of the clubhouse which is vastly different from nearly all of the other historic golf venues in the United Kingdom. I happened to play Birkdale as a single, sandwiched in between two four balls, but I was lucky that the secretary provided me with some pretty good spacing. This window allowed me to spend some time analyzing each hole and have an opportunity to take photos along the way. 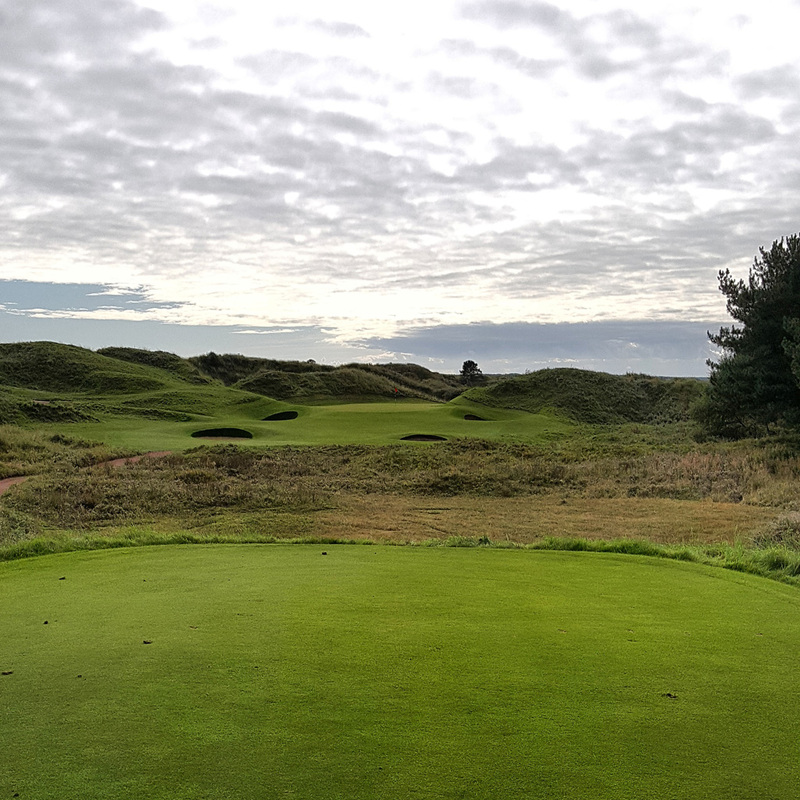 Royal Birkdale was the first really closed in course I had played since the start of my trip and it did feel slightly claustrophobic as you pretty much maneuver in between dunes throughout the majority of the 18 holes. 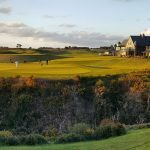 The course was in incredible shape however and combined with the unseasonably warm October temps and minimal winds, I found Birkdale to be play very fair and not overly difficult. What stood out the most to me was that Royal Birkdale has some of the best par 3’s in all of England and Scotland. The Par 3, 181 yard, 12th hole was my favorite of the 3’s. 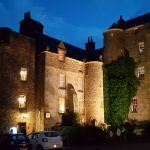 It offers a great challenge and the backdrop is excellent as well. 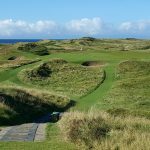 Looking forward to the summer of 2017, I can certainly imagine that if the winds gets cranking during the upcoming Open, there are several elevated tees that will play insanely difficult while others will have nice protection. It will be an up and down roller coaster type layout in heavy winds. 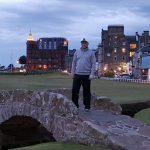 From a patrons perspective I think it will be a great place to watch the Open, whereas St. Andrews, Muirfield and Royal Troon are not ideal for attendees because it’s difficult to get really close to the action. Royal Birkdale has numerous elevated areas that will provide guests excellent vantage points in addition to the designated grandstand areas. One of the best parts of Royal Birkdale is the modern clubhouse just off of the 18th green. I had a wonderful lunch outside on the patio just off of the main wing which provides close up action of the 18th green. It was one of the more memorable parts of my visit to the club and a nice way to relax before hopping on the train back down to Liverpool. 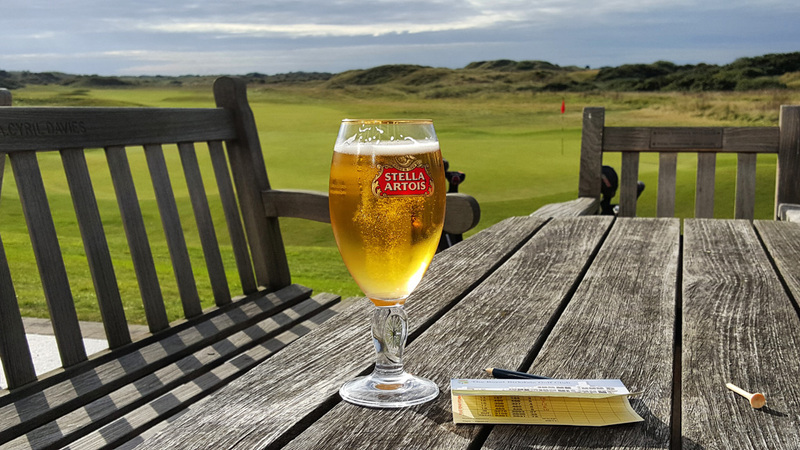 I have not had the opportunity to play the other two Liverpool Rota courses (Royal Lytham & Saint Annes and Royal Liverpool) but from everything I’ve heard, Royal Birkdale is the best of the three. 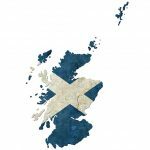 To be honest the entire region could be a trip alone as there probably is not a better large golf city in the UK or Ireland. 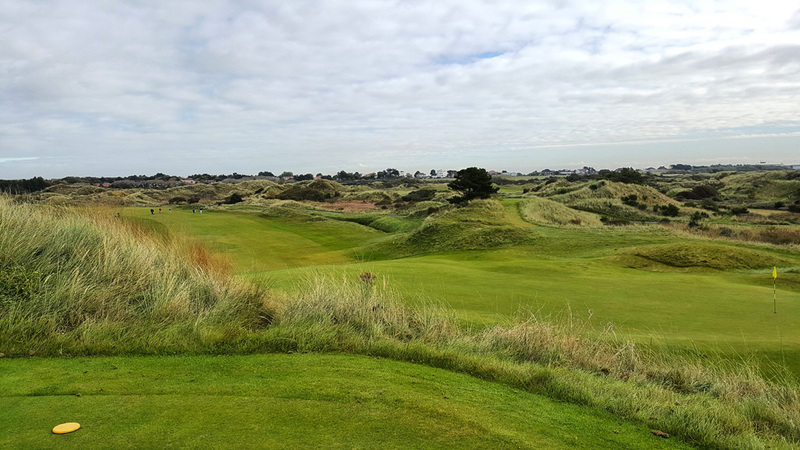 I ranked Royal Birkdale at #7 in the current Open Rota courses you can play, which is not a knock on the course, but I just don’t have it the same level of the elite Scottish courses. I’m very much looking forward to getting back to this area of England and playing Royal Liverpool and Royal Lytham & St. Annes.